Honeysuckle is synonymous with backyards in Cincinnati. This invasive chokes out our native plants and feeds our wildlife berries that bring little nutrition. At this Madeira home a large portion of the backyard had been taken over by honeysuckle. A design was developed to create a sanctuary in place of the honeysuckle. 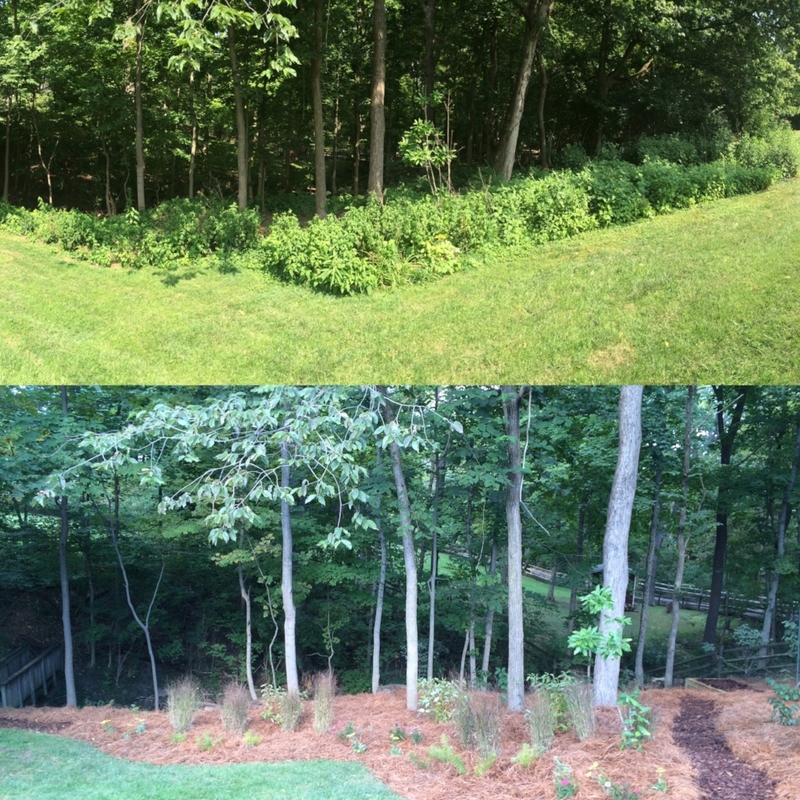 A place for the family to enjoy the backyard's unique topography, creek and newly planted natives. Freshly planted coralberries. These new additions will grow to hold this hillside where there once were honeysuckle. Added bonus is that they are also deer resistant and can handle compacted clay!